The Copy Service Fee Schedule And The "Contested Claim" - ScanFiles, Inc. Copy services must prove a contested claim when their services were incurred or lose their receivable. As I mentioned in the last post, the DWC has shown some willingness to update the 2015 Copy Service Fee Schedule. When I think of the most important ISSUE facing applicant copy services today when they go before a WCJ or the WCAB, it is being forced to prove the underlying claim was in a “contested” state as described in Labor Code Section 4620(b) when their services were incurred. Many of the applicant copy service owners I have talked to tell me that this is not really a big deal for them. These are the same copy service owners that tell me they are rarely filing petitions or attending hearings at the Appeals Board. Trust me on this… it’s a big problem if you expect to collect all that older copy service receivables through the Appeals Board. Even if the employer failed to raise this objection beforehand, the copy service is responsible for proving this foundational issue at the Appeals Board. So, if the Fee Schedule really does get a makeover in 2019, this is likely the ONLY opportunity to get this IMPORTANT issue addressed for the next several years. I have proposed a SOLUTION at the bottom of this post that copy services might consider pushing for in the upcoming Fee Schedule update. So, you might be thinking, WHY does Stephen think this is such a problem? I like to read the panel cases that come out of the WCAB every month, and particularly copy service opinions. Panel cases are Appeals Board decisions that are not binding law, but give some indication of how the WCAB views the issues brought before them. I like them because they inform me on what the current issues are that people are fighting over. In the case of copy services, there is a surprisingly high volume of dispute. I typically see four or five copy service disputes a month out of maybe a total of 20 panel decisions. I think that’s a significant amount of dispute, and indicates the need for better regulations. What I see is the WCJs are getting hung up on the same issues over and over, and parties are petitioning the WCAB again and again about the same things. In nearly EVERY copy service panel case I see the same “copy and pasted” series of paragraphs that go through the legal foundation and requirements of a MEDICAL LEGAL EXPENSE. The paragraphs culminate in setting up a TEST for the copy service to PROVE their services were ordered on a CONTESTED CLAIM using the narrow definition listed in Labor Code Section 4620(b). I would say that more than half the time, the copy service FAILS this basic TEST, and either has their receivable dismissed entirely, or sent back to the trial judge to prove their services were ordered appropriately. The Commissioners’ unanimous opinion is that even if the employer never raised the issue of a contested claim, the copy service STILL must pass this test before the other issues will be heard. This is a MAJOR problem for every applicant copy service that intends to actively collect their unpaid receivables through the Appeals Board. Any party can request records as discovery from a copy service ANYTIME they want… BUT, if the applicant intends to have the employer PAY for their DISCOVERY then the current state of the law is the services MUST meet all of the provisions of a MEDICAL LEGAL EXPENSE. Medical-legal expenses are defined under Article 2.5 of the Labor Code, sections 4620-4628. This is worth repeating here: to enforce a right to payment of ANY copy service receivable, the services must not only comply with all provisions of the Copy Service Fee Schedule, but also comply with all of the limitations and provisions of a MEDICAL LEGAL EXPENSE. (1) The employer rejects liability for a claimed benefit. (2) The employer fails to accept liability for benefits after the expiration of a reasonable period of time within which to decide if it will contest the claim. (3) The employer fails to respond to a demand for payment of benefits after the expiration of any time period fixed by statute for the payment of indemnity. When records are ordered outside of one of those three scenarios, the employer is not responsible for paying the bill. Seriously, I can show you case after case where this happened. So, copy services must be prepared to support their invoices by proving their services were ordered appropriately. CLICK HERE TO SEE WHY AND WHEN THIS CONTESTED CLAIM REQUIREMENT CAME ABOUT. WHEN AND HOW DID THIS LIMITATION ARISE? DISCOVERY was not LIMITED to ONLY the medical-legal expense category until 2015 and the en banc case of Martinez v. Ana Terrazas. In other words, until the Martinez case, applicant attorneys did not need to wait until the claim was in a CONTESTED state before ordering records. In fact, records have historically been ordered by applicant law offices around the same time as filing the Application for Adjudication of Claim. 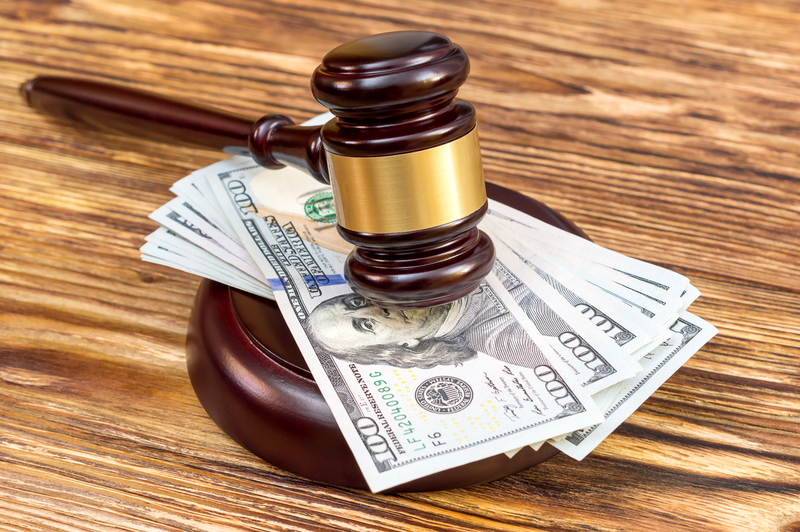 When the applicant would order records soon after filing and serving the Application of Adjudication of claim the expense was considered an “Attorney cost” under Labor Code Section 5811, just like the interpreter costs. So, it all depended on WHEN during the case timeline the records were ordered. If records were ordered early in the case for the applicant’s deposition or some other purpose the costs were considered attorneys costs… if ordered to give to the treating doctor (PTP) during treatment the services were treatments costs under Labor Code Section 4600 (see Labor Code Section 4603.2(b)(1)(A))… or if ordered to give to an evaluating physician then the costs were medical-legal expenses under Labor Code Section 4620. So, this whole LINE OF DISPUTE that we are seeing in the panel cases over the last two years was caused by the Martinez case. Prior to that, records could be ordered as discovery pretty much anytime as an “attorney cost” under Labor Code Section 5811, and fully supportable before the WCAB by the copy service. Okay, you might say…. the Application For Adjudication of Claim lists seven different BENEFITS that can be in “disagreement” between the parties when so marked by the applicant and served, plus an “other” box. Therefore, as long as the records were ordered by the applicant attorney after the filing/serving of the Application for Adjudication of Claim, everything should be fine. There are other situations that seem to pass muster as causing a contested claim, including the parties requesting a Panel QME, or using an AME, or any Utilization Review denials, or the use of IMR. A slam dunk is if the records were ordered after a Denial Of Claim Letter from the Employer/carrier was served, or if the Employer/Carrier failed to either accept or deny (or send a letter of delay) the claim for 30 days after the service of the Claim Form and/or Application. Copy services should NOT be okay with having to prove their services were incurred under such limited circumstances as written into Labor Code Section 4620(b). This section was written in 1993 and was targeting medical REPORTS, and not discovery. Not only is complying with this complicated and time consuming, but it requires a fair amount of COOPERATION by the parties to supply the necessary information and documents. Unless the WCAB backs away from their holdings in the Martinez case that ALL copy and related services are limited to the medical-legal category, the DWC needs to solve this problem through regulation in the Fee Schedule. Cal. Code of Regs. Section 9982 is the DWC regulation that describes when ordering records is ALLOWED. This section is titled “ALLOWABLE SERVICES“. I have read this section easily 50 times and I cannot tell you simply what it means, so this is a GREAT place for the DWC to do some re-writing and not only make this section more clear to stakeholders, but RESOLVE the Fee Schedule with the limitations of Labor Code Section 4620. A proposal should be brought before the Administrative Director to include in Cal. Code of Regs. Section 9982 the following: The filing and SERVING of an Application of Adjudication of Claim form on the employer/carrier shall commence DISCOVERY under the jurisdiction of the Appeals Board, and the disagreements regarding liability for benefits as documented on the form shall be considered as evidence of a contested claim under Labor Code Section 4620 for the specific and limited purpose of incurring the copy and related services, as defined in this Article. I anticipate some people taking issue with the Administrative Director of the DWC interpreting Labor Code Section 4620(b) and adding another line item that the legislature did not authorize. I want to point out that the Administrative Director has ALREADY interpreted this Labor Code section and added a FORTH line item in Cal. Code of Regs. 9793(b)(4). Meaning, while LC 4620(b) only shows three line items, the definition of “contested claim” in C.C.R. 9793(b) has FOUR… so, obviously the AD does have the authority to interpret Labor Code Section 4620(b) and make additional categories such as I just proposed. The Martinez decision FORCED copy services and their applicant attorney customers to fit into the narrow definition for medical-legal expenses while in their discovery phase, and this has caused a big area of copy service DISPUTE. There is ample case law that stands for the applicant having a right to LIBERAL discovery, so this friction was either unintentional or unauthorized. Therefore, it seems reasonable that the DWC interpret the 1990’s limitations built into Labor Code Section 4620(b) to combat doctors writing too many reports, and clarify this important section in a way that preserves the applicant’s right to liberal discovery at the employer’s expense. I welcome your feedback and comments, below.